Picton is one of those historic towns that’s an easy stop if you are in the area or visiting the NSW Rail Transport Museum in nearby Thirlmere. With the colonial heritage pub, George the IV Inn, and a few shops to peruse, you may find yourself stopping in Picton for longer than you think. After spying a funky new cafe on Argyle Street, but unfortunately too cool for scones, I find Come By Chance Cafe. It’s not particularly busy, especially when we arrive, and although we order and pay at the counter, for some reason the tables around us receive their meals before us. My pot of tea arrives promptly, but by the time my scones arrive the tea is lukewarm. The scones are like rock cakes, dry and stale. The cream is freshly whipped but light and the jam is okay. 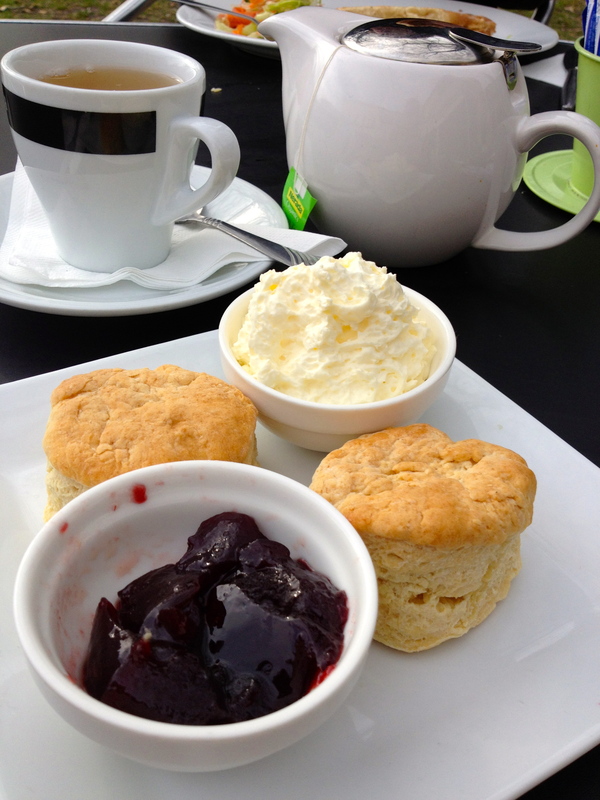 Maybe the scones are fresh on a Monday? Tea: Small selection of teabags served in a small pot. Overall: Pleasant outdoor seating in a lovely historic town.